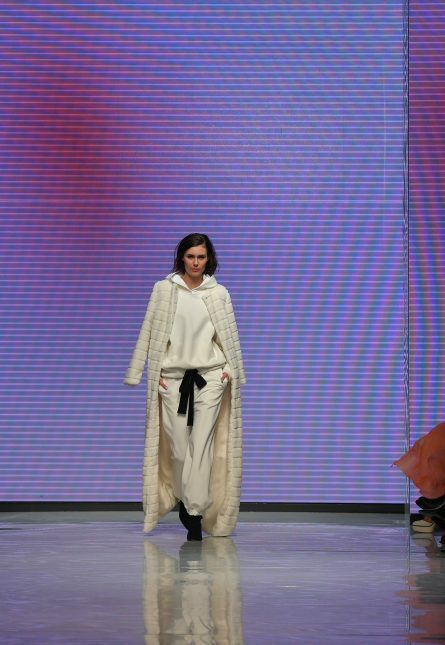 Ready-to-wear designer Hilary MacMillan debuted her Fall/Winter 2018 collection on Day 2 of Toronto Fashion Week. MacMillan is best known for her impeccably tailored garments and bold prints, as well as her commitment to cruelty-free fashion. We chatted with MacMillan about the inspiration behind her Fall/Winter 2018 collection and how veganism influences her aesthetic. What was the inspiration behind your collection this season? Who do you envision wearing your pieces? You recently decided to stop using animal products in your designs. What was behind that decision? Why is showing at Toronto Fashion Week important to you?